The competition Secretary report for The Diamond Service Station Cup on the 9th of March. Heavy rain fell on Thursday night and Friday which made the river high and muddy so at this time of year Fly fishing was completely out, Nearly everyone was bait fishing which was hard for the fly men. In first place was Barry Diamond, second place was last years winner Joey O'Neill ,and in third place was Tom Mullan ,so well done to these men on a hardy days fishing.Our next competition The Ciaran Duffin Memorial Cup is on the 30th of March so hopefully the weather Will have warmed up a bit before then and a few more anglers will turn up.Tight Lines. This Saturday is our first competition of the season, It is The Diamond Service Station Cup. last year winner Joey ONeill will be hoping to retain this cup before he heads back to Scotland, but the river is very low and i dont think this will suit Joey, I think the river will suit the fly angler this weekend.The Competition will start at Castledawson bridge at 10.30am and finish at 4.30pm ,our competitions are open to all our club members. There will be new rules put in place for the weigh in, which will be explained on Saturday.Tight lines to everyone for the incoming season. Totally agree john the river will end up feature less and like a canal just look at curran an eye sore nature should be left to do her own thing,just another case of man tampering with nature to much. I see a severe tree cutback is taking place this week below Tobermore Bridge.I know that there are two bodies of opinion as to how this effects angling but I can''''''''t see how it is anything but disadvantageous. It also detracts from the environment and spoils the beauty of the place. Congratulations to Seamus Donnelly on a comprehensive set of minutes received by email today. Thanks Seamus.....keep up the good work. Theirs a good we flood in the river today. Its great to be able to watch it from home. Can I just remind members renewing their club fees that paying after the 31st March incurs a £10 penalty. If possible payment before this date will insure that normal fees apply. Current fee amounts can be found on the web site under the day ticket and membership tab. 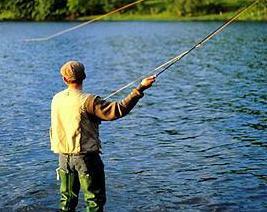 Also if paying by cheque could you please make the cheque payable to Moyola Angling Association. Many thanks for your co-operation. Brian Bigmore, membership officer. Thanks to Philip for all his hard work as Chairman and best wishes to Speedy for a successful term in the Chair. Good luck also to all those elected as office bearers and committee members for 2013. We have a great club and a great river.....lets continue to improve it for those coming after us. Can I ask members if they are attending the AGM and intending to pay their 2013 fees, I'll be issuing the membership cards at Feb's committee meeting. If you want the card posted please bring a S.A.E so that this can be done. Thanks. The Moyola Angling Association clean up around the Weddell bridge area of the river Moyola is continuing until the end of January . Stephanie Baine landscape officer for the Sperrin Gateway Landscape Partnership is organising a team of workers for the 9th of January , these workers will be guests of the Moyola anglers for the day . Most of the regulars will be at their jobs,so any anglers that are able to help on this date please let us know we start at 8 am . Dates for the rest of the clean up are listed below . If you would like to help on any of the above dates even for an hour or two please feel free to join us we start at 10 am and finish at 4 pm .your help and support will be greatly appericated. Great work lads, Hopefully i will get next week all being well. Again we would like to thank the Moyola Anglers that where able to help today at the clean up- Joe McWilliams , Colm McWilliams ,Peter Walls , Seamus Donnelly ,Vincent Brunton and Joe Early ,also today we had four of our junior anglers out helping James,kevan,and James B also Mathew Doyle who worked really hard all day despite ripping his waders early on and went home tired and soaked through . We would also like to thank the Thompson's who gave permission to use their feild to access the pools . We picked up where we left of last week and are just starting to see the difference . all being well we are out again next saturday from 10 am to 4 pm . If any one would like to help please feel free to join us there your help and support will be greatly appreciated . We made a great start today and plan to go back next Saturday from 10 am to 4 pm . If any one would like to help please feel free to join us there your help and support will be greatly appreciated . Wishing all the Moyola members a very Happy Christmas and a Peaceful New Year. Many thanks for all your support over the last number of years I have been looking after the memberships. Your fees for next year should be sent to Brian Bigmore who will be taking over from me. His address will be on the AGM notice you will be receiving soon.